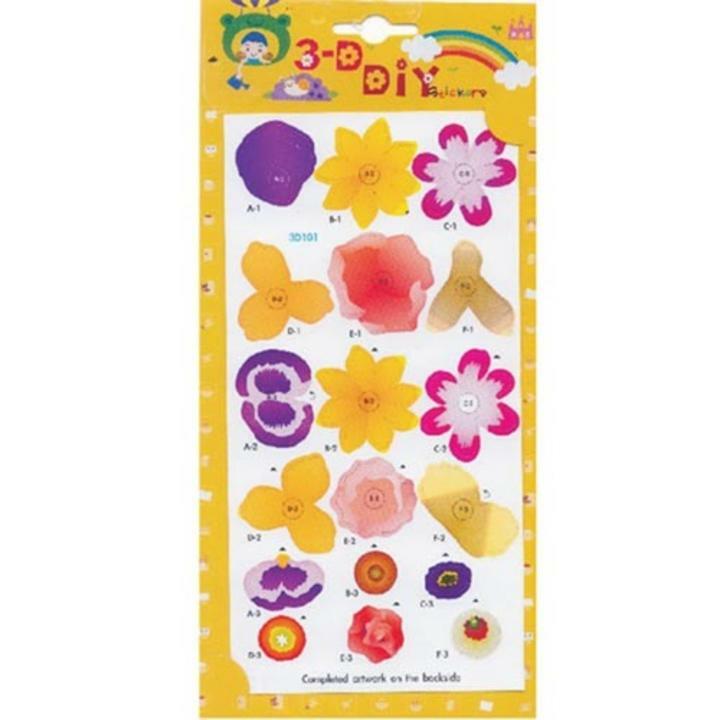 1 flowers themed 3D sticker pack. Each package contains a backround, parts, and foam double sided stickers. You build the sticker part by part for a beautiful 3D result. These stickers are perfect as an arts n crafts project, or to keep the kids busy on a rainy day. Encourage creativity!